Silenced Blog Tour and Giveaway! The novel starts off with a bang. And then it doesn’t let up. At no point in the novel did I feel like putting it down and doing something else. The writing is compelling, the mystery intriguing, and the romance on point. The romance. I’ve been watching Kayden and Jake since day one and I am very pleased with how their story came together. One thing I’ve noticed in series like these, is that the author runs the risk of having the male characters all seem the same or the females all come across as very similar. Not so with Kayden and Jake. They had distinct personalities in the other books and are well able to stay the same in this book. This of course means that their romance was a little different, a bit slower, but perfect for them. I was initially worried that with Kayden’s prickly personality that I would find her annoying in regards to Jake. But I didn’t, I found her endearing. The mystery. Dani Pettrey writes my kind of mystery: not too complicated that I get lost in the details and yet you can still make guesses about what is going on. The family. I love when the McKenna’s are together. Every scene where they work together is fun to read. And I do believe another McKenna has a story coming out. Here’s to looking at you Reef! Spiritually, the major theme is dealing with fear and how it can keep you from living if you don’t trust God with it. Really nothing. It was a lot of fun to read. Overall, a very fun read you won’t want to put down! 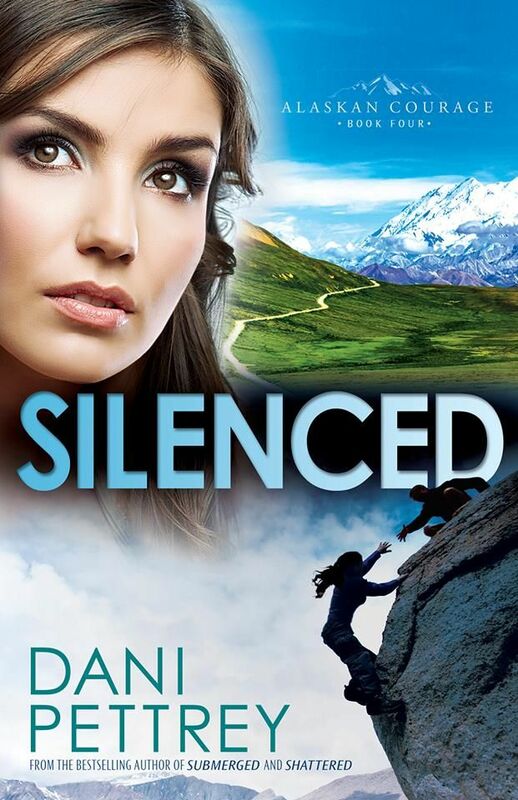 Dani Pettrey has graciously offered to giveaway a copy of Silenced (that’s right, it’s free)! Just leave a comment below stating what you love about a Dani Pettrey novel (or why you would like to read one) with your email address. The winner must live in the US and be over the age of 18. You can make as many comments as you want, but only one comment will count towards the giveaway. A winner will be randomly selected. The winner must respond within 48 hours of being notified of their win. The contest ends May 30th! When his friend is murdered, illusionist Jevin Banks is determined to find out what really happened. Drawn into a web of conspiracy and top-secret research on human consciousness, Jevin won’t stop digging until the truth is revealed. Soon he uncovers a dark secret–one that could change the very fabric of human life on the planet. Bristling with mystery, suspense, and intrigue, Singularity is the second riveting book in The Jevin Banks Experience. Readers will devour this scientific thriller, flipping pages late into the night until the final shocking page. The suspense! Mr. James knows how to keep you on the edge of your seat. The buildup, in certain parts of the book, was amazing. Jevin Banks is a magician. It’s such an original concept and I’m so glad that his tricks take center stage a couple of times in this book. Unlike in the first novel, Jevin Banks actually performs in Vegas. This may sound more complicated, but I liked that Jevin Banks doesn’t quiet play detective, and yet he does. He’s not quite as smooth as Patrick Bowers (I can’t help but compare!) and that’s perfect, because he’s not a detective. The creepy, scary bad guys. No one does it quite like Steven James. Charlene. There’s a bit more weight on the romance. Oh. Yes. Spiritually, it is God’s love that separates from evil. Without Him, we are predisposed to do anything. Research. It felt like a lot of research was done in this book and with good reason. However, I found myself not as interested in the scientific explanations for things. It seemed a bit too convenient that every time there was something Jevin didn’t know, one of the six people around him did know the answer. They just had it like that. Teaching. There were moments when I felt like someone was trying to get a point across that often had very little to do with the mystery and very much to do with, um, for example, homeschooling. Yes Fiona and your four children. I’m looking at you. Overall, a very interesting read that will have you thinking. Though it probably wasn’t my favorite Steven James novel, if you have read his other books and liked them, you will like this one. When Laura Griffith’s sixteen-year-old sister disappears on a frigid February day, leaving only a brief note behind, Laura resolves to do whatever it takes to track down the runaway teen. That includes recruiting ATF agent turned private investigator James Devlin to help. Dev knows time is of the essence with runaways–just forty-eight hours can mean the difference between recovery and ruin. But the deeper he and Laura dig, the more Dev begins to suspect that something sinister is at work in the girl’s disappearance. And in the icy winter weather, the trail is going cold . 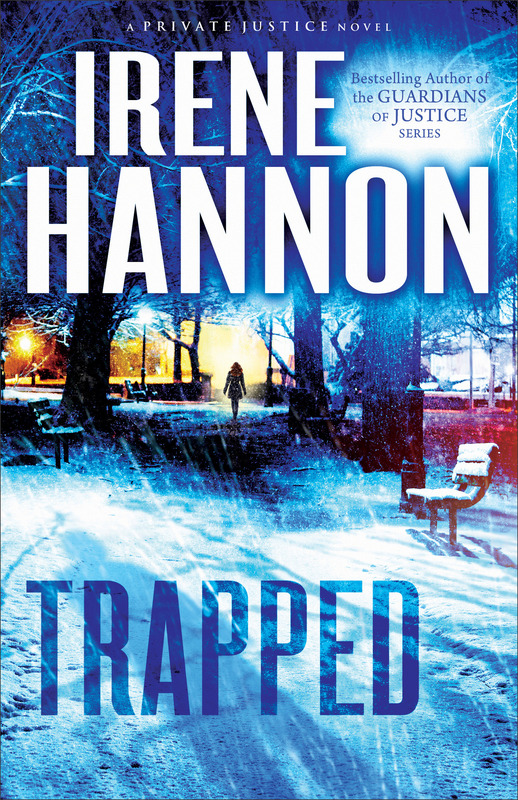 . .
I’m always glad when a new mystery novel comes out by Ms. Hannon. Her novels are fun and easy to read and this is one is no different. With Trapped, we are back with the Phoenix PIs and this time Devlin is on the hotseat. Devlin is a very rich character with a strong personality and a complex background. He is immediately a character the reader can trust. Laura is the same way, and you can’t help but like her. The only thing is, if you have read all of Ms. Hannon’s books (like me), they do come off as a tad bit familiar (but this won’t detract from the story at all). This mystery was a bit heavy on the romance (the best kind!). The only thing was that there were these moments of mental checklist in the book that though it fit their personalities, kind of lacked a natural flow. It went like this nice guy? check; pays his bills on time? check; doesn’t talk back to his mama? check. Don’t get me wrong, people definitely do that in real life, however it just stood out to me here. There was also this kind of instant-attraction thing where there was no rhyme or reason why Laura was “the one” for Devlin. That said, I enjoyed the balance of romance and mystery and some of the greatest parts of the novel are when Laura and Devlin are together. As for the mystery, Ms. Hannon, in my opinion really shines with her bad guys (not quite so sure what that says about her :)). They all manage to be unique and scary in their own way and this guy is a nut if ever there was one. Darcy is a bit hard to like though because she come across as selfish and a bit…um…naive at first, but I do like the way she deals with the bad guy. This is not a who-dun-it novel but how to find out they dun it kind of mystery. I enjoyed the process of watching Laura and Devlin figure that person out. Spiritually, you have Laura who works as the spiritual rock in this book and it’s nice to see her lean on God. You definitely get the impression that she has a close relationship with God. I would have to say the theme is turning to God in times of trouble. Overall, a fun read that has the pages turning quickly! Ana Kavanagh’s only memories of home are of fire and pain. As a girl she was the only survivor of a terrible blaze, and years later she still struggles with her anger at God for letting it happen. At a nearby parish she meets and finds a kindred spirit in Eoghan Hamilton, who is struggling with his own anger–his sister, Cara, betrayed him by falling in love with one of his enemies. Cast aside by everyone, Eoghan longs to rejoin the Fenians, a shadowy organization pushing for change back in Ireland. But gaining their trust requires doing some favors–all of which seem to lead back to Ana. Who is she and who is searching for her? As dark secrets from Ana’s past begin to come to light, Eoghan must choose which road to follow–and where to finally place his trust. First off, let me say, if you enjoyed the first book in this series, you will enjoy the second. I didn’t realize that the mystery in book one wasn’t completely over, so it continues through book 2 (and most likely a book 3?). The writing in this novel was so well done and engaging that I found myself flipping through the pages faster than I had anticipated. I was really fascinated to see what would happen between Eoghan and Ana and how all would be revealed to Cara. However, I will say that I felt like the romance lacked a bit of something. While they did take time to get to know each other, something about the relationship felt like it happened speedily. There were also a few moments were I felt like Ana and Eoghan kind of contradicted themselves a bit and I know it was to create tension, but I was slightly confused. That said, this novel is the kind of mystery I like, heavy on the romance and light on the mystery. The mystery is pretty interesting because it has one single culminating event that has spiderwebbed into other people’s lives. I think it’s very clever how Ms. Ludwig is unraveling it slowly. Spiritually, I love the theme of trusting God and just acknowledging that He is so much bigger than us. I also like the realization that one character has about how he made the church his god and not actually Jesus. Overall, I found this novel to be enjoyable. It’s not weighed down with a lot of details and facts and is very people driven. Though the romance wasn’t particularly what I like, I don’t think you will be disappointed if you pick this one up! This book was fast-paced, action-packed, sweet & romantic all in one. Naturally, I’ve been looking forward to reading about Gage and Darcy since the last novel by Ms. Pettrey. Once again we are brought back to the beautiful, yet harsh environment of Alaska and the welcoming arms of the McKenna family. One thing I kind of liked was that the foundation of Gage’s and Darcy’s relationship had already been laid in Shattered and so in this book you can just watch the two of them recognize their feelings for each other. Darcy continued to be a very likeable heroine. Though she was driven, I didn’t find her annoying. I liked Gage and his emphasis on safety to be very realistic (considering where they live). I found the mystery to be engaging and not overwhelming, make no mistake this is a character driven novel. Spiritually, Gage learns to trust God in spite of the fact that sometimes things don’t always go our way. I couldn’t help but appreciate the way Darcy consistently prayed until she got her prayer answered. Fun book, looking forward to the next one! 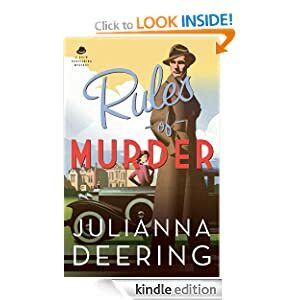 Drew Farthering loves a good mystery, although he generally expects to find it in the pages of a novel, not on the grounds of his country estate. When a weekend party at Farthering Place is ruined by murder and the police seem flummoxed, Drew decides to look into the crime himself. With the help of his best friend, Nick Dennison, an avid mystery reader, and Madeline Parker, a beautiful and whip-smart American debutante staying as a guest, the three try to solve the mystery as a lark, using the methods from their favorite novels. Soon, financial irregularities at Drew’s stepfather’s company come to light and it’s clear that all who remain at Farthering Place could be in danger. Trying hard to remain one step ahead of the killer–and trying harder to impress Madeline–Drew must decide how far to take this game. Let me start with what I loved about this book. I loved the era. It’s rare that you read books that take place in the early 1900s. I loved that it was in England on an estate. It was almost like regency England got a makeover. Same country, same titles, different times. In fact it was reminiscent of Downton Abbey, though I know this story is supposed to take place years later than the time of the show. What I didn’t quite appreciate: this is a straight-up mystery, Agatha Christie style. If you loved Agatha Christie, you will love this novel. It is very much detective work. I, though, generally like romantic suspense aka, would-you-like-some-mystery-with-that-romance genre. In this novel, there is romance, but its put together so nicely before you even get half-way through the novel. It is clearly not the focus of the novel. That said, the mystery is well thought out, and I was guessing who done it for most of the novel, I will say that the body count got quite high. I did appreciate Drew. He was humorous, and very British and a character I enjoyed turning the pages for. Madeleine came across as a perfect foil for him. Usually, in detective novels you can either have a good detective or an annoying one. Drew is a good detective and a character you can have faith will make the right decisions. Spiritually, I thought Ms. Deering handled the subject of faith very well. You could see Drew beginning to open up to the fact that God is still alive today and you could see how Madeleine’s strong faith persevered in troubling times. I would not rate this novel that high only because when I put it down, I had no real desire to pick it back up and yet, every time I did, I enjoyed it. Confusing? Yeah, to me too. If you like die-hard mysteries you will enjoy this book, and I kind of want to see what happens on Drew’s next adventure myself. feelings for her–and the stirrings in his heart toward God? Such a good romantic suspense novel! This novel was my kind of romantic suspense, heavy on the romance and heavy on the suspense (without getting too bogged down in the details). There’s so much I liked about this book I don’t know where to begin. Alison was a great heroine because you could really understand the workings of her mind. She had a couple of moments where she jumped in feet first without thinking things all the way through, but she managed to get out of them without too many problems. Mike, to me, was absolutely hilarious. He was so over-the-top negative that it was funny. I enjoyed watching them get together. Now, the novel does make a time jump and I would have liked to see them together then, but I also understood why the time jump was needed. The mystery was well thought out and sufficiently interesting enough that I was concerned about who done it. The only problem with the mystery was that a lot of people were involved and some of their names kind of ran together for me. I liked Alison’s children (which is saying a lot because kids rarely add to a novel IMO). They were fully developed human beings. Spiritually, there’s kind of a lot going on, but I enjoyed watching Alison and Mike know Christ and more importantly trusting Him. There’s a great moment when Alison expects God to rescue her and not man and that was done nicely. Great novel. Highly recommended!